Chestnut Hill Nursery was started in 1981 by R.D. Wallace and his wife, Deborah A. Gaw in Alachua, Florida. Wallace is the grandson of Dr. R. T. Dunstan, noted plant breeder and the first person to hybridize the French Vinifera wine grapes and the American muscadine. Dunstan also developed the Dunstan Hybrid Chestnut, a cross of a surviving American chestnut discovered in Ohio in the 1950’s and USDA selections of Chinese chestnuts. Today, the Dunstan Chestnuts are the most widely planted chestnut varieties in the US, hold the only US Plant Patents ever given to chestnuts, and Chestnut Hill Nursery is a national leader in the developing U.S. chestnut industry. Wallace’s father, Dr. A.T. Wallace, was a plant geneticist and Dean for Agricultural Research at the University of Florida in Gainesville. In the 1960’s, Dr. Wallace had a graduate student from Japan who gave him a gift of the 30 best persimmon varieties from the Okitsu Research Station. Chestnut Hill has introduced many of these new varieties to the commercial orchard industry, resulting in a thriving persimmon industry in the South today. In the 1990’s Chestnut Hill began working closely with University of Florida plant breeders to introduce new varieties of fruit trees that have been bred for the warm winter climates of Florida and the Deep South. Chestnut Hill is the leading grower of new low chill fruit trees from the University of Florida, and supplies these trees to orchardists and garden centers throughout the South. 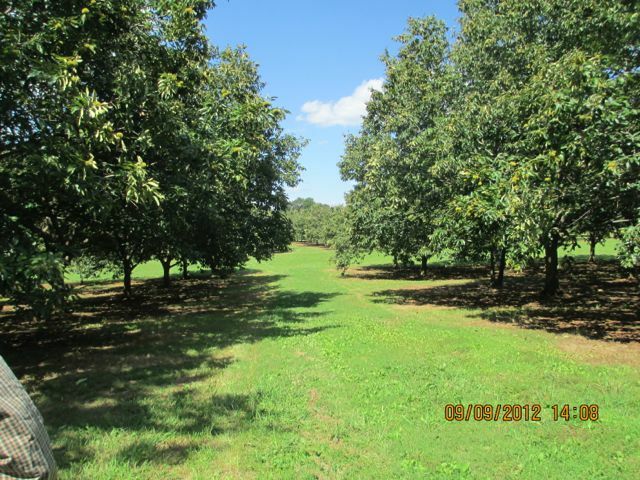 Chestnut Hill maintains over 20 acres of fruit orchards for budwood and testing of new varieties. There is some kind of fresh fruit ripening 12 months a year at the farm! Chestnut Hill has also introduced new kinds of flowering trees to the landscape industry, including Taiwan Flowering Cherry that produces beautiful pink blossoms and will bloom as far south as Orlando, and St. Lukes Purple-leaf Plum, a low-chill flowering plum that holds its garnet leaf color throughout the hot summers from Charleston to New Orleans. We selected the Freedom Flowering Pear TM, a new highly disease resistant variety of flowering Pear, from our own breeding program. We grow many native flowering and landscape trees for the South. In 1998 and 1999, Chestnut Hill Nursery received recognition as one of the Florida 100, the top 100 fastest growing businesses in Florida. Chestnut Hill Nursery is located on 150 acres 4 miles from I-75, just northwest of Gainesville in Alachua, Florida, and is conveniently located 5 hours from Charleston, Atlanta, Pensacola and Miami. Since 1981, Chestnut Hill has sold enough trees to cover over a half a million acres of land with forest or orchards. This many acres of trees can sequester over 500,000 tons of carbon every year, or the equivalent of removing over 83,000 full-sized cars from the road every year! We are very proud of our effect on the health of the earth! What better result of your efforts than producing your own food on trees in your backyard, and offsetting the car you drive as well! You can do your part to restore the planet by planting a tree, or better yet, 1000 trees!